A motive, in law, especially criminal law, is the cause that moves people to induce a certain action. Motive, in itself, is not an element of any given crime; however, the legal system typically allows motive to be proven in order to make plausible the accused's reasons for committing a crime, at least when those motives may be obscure or hard to identify with. However, a motive is not required to reach a verdict. Motives are also used in other aspects of a specific case, for instance, when police are initially investigating. Contract killing is a form of murder in which one party hires another party to kill a target individual or group of people. It involves an illegal agreement between two or more parties in which one party agrees to kill the target in exchange for some form of payment, monetary or otherwise. Either party may be a person, group, or an organization. In the United States, the crime is punishable by 15 years to life in a state penitentiary. Contract killing has been associated with organized crime, government conspiracies, and vendettas. For example, in the United States, the gang Murder, Inc. committed hundreds of murders on behalf of the National Crime Syndicate during the 1930s and 1940s. Revenge is a form of justice enacted in the absence or defiance of the norms of formal law and jurisprudence. Often, revenge is defined as being a harmful action against a person or group in response to a grievance, be it real or perceived. It is used to punish a wrong by going outside the law. 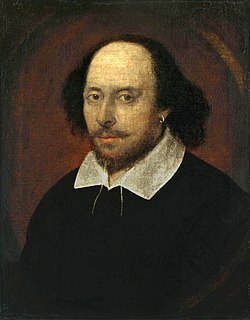 Francis Bacon described revenge as a kind of "wild justice" that "does... offend the law [and] putteth the law out of office." Primitive justice or retributive justice is often differentiated from more formal and refined forms of justice such as distributive justice and divine judgment. 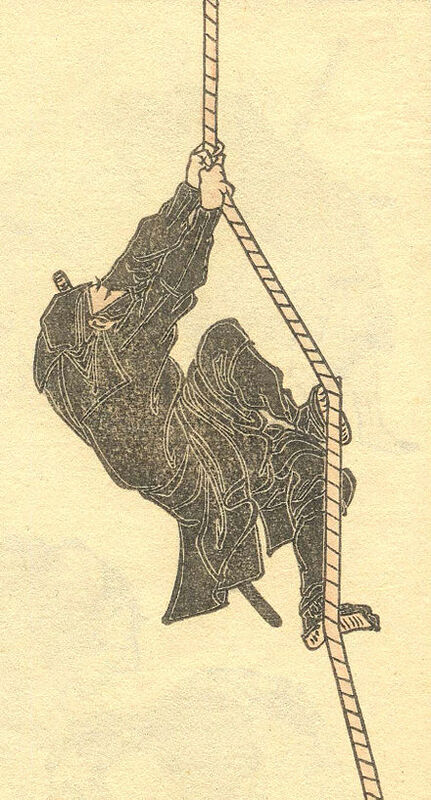 The word assassin is often believed to derive from the word Hashshashin (Arabic: حشّاشين, ħashshāshīyīn, also Hashishin, Hashashiyyin, or Assassins),  and shares its etymological roots with hashish ( /hæˈʃiːʃ/ or /ˈhæʃiːʃ/ ; from Arabic: حشيشḥashīsh). It referred to a group of Nizari Shia Muslims who worked against various political targets. Order of Assassins or simply Assassins is the common name used to refer to an Islamic sect formally known as the Nizari Ismailis. Based on texts from Alamut, their grand master Hassan-i Sabbah tended to call his disciples Asāsiyyūn, but some foreign travellers like Marco Polo misunderstood the name as deriving from the term hashish. Hashish, or hash, is a drug made from the resin of the cannabis plant. It is consumed by smoking a small piece, typically in a pipe, bong, vaporizer or joint, or via oral ingestion. As pure hashish will not burn if rolled alone in a joint, it is typically mixed with herbal cannabis, tobacco or another type of herb for this method of consumption. Depending on region or country, multiple synonyms and alternative names exist. The Nizaris are the largest branch of the Ismaili Shi'i Muslims, the second-largest branch of Shia Islam. Nizari teachings emphasise human reasoning, pluralism and social justice. Aga Khan IV is their religious Imam and leader. 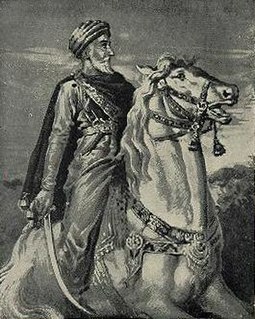 Hassan-i Sabbāh or Hassan as-Sabbāh was the leader of the Nizārī Ismā‘īlītes and the founder of the order known as Assassins. 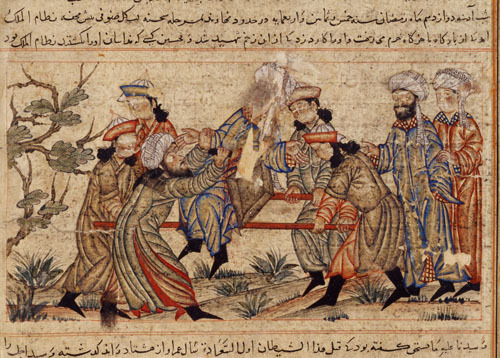 Assassins, who are often referred to as the Hashshashin, was a group of fedayeen. Alamut is a ruined mountain fortress located in Alamut region in the South Caspian province of Gilan near the Rudbar region in Iran, approximately 100 km (60 mi) from present-day Tehran. Matthew Sutcliffe was an English clergyman, academic and lawyer. He became Dean of Exeter, and wrote extensively on religious matters as a controversialist. He served as chaplain to His Majesty King James I of England. He was the founder of Chelsea College, a royal centre for the writing of theological literature that was closed at the behest of Charles I. He also played a part in the early settlement of New England as an investor. In the Middle Ages, regicide was rare in Western Europe, but it was a recurring theme in the Eastern Roman Empire. Blinding and strangling in the bathtub were the most commonly used procedures. 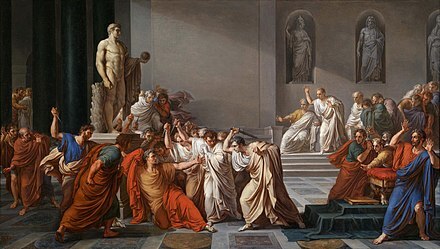 With the Renaissance, tyrannicide—or assassination for personal or political reasons—became more common again in Western Europe. High medieval sources mention the assassination of King Demetrius Zvonimir (1089), dying at the hands of his own people, who objected to a proposition by the Pope to go on a campaign to aid the Byzantines against the Seljuk Turks. This account is, however, contentious among historians, it being most commonly asserted that he died of natural causes. 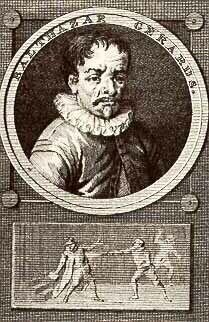 The myth of the "Curse of King Zvonimir" is based on the legend of his assassination. In 1192, Conrad of Montferrat, the de facto King of Jerusalem, was killed by an assassin. In Austria, the assassination of Archduke Franz Ferdinand and his wife Sophie, Duchess of Hohenberg in Sarajevo on June 28, 1914, carried out by Gavrilo Princip, a Serbian national and a member of the Serbian nationalist insurgents (The Black Hand), is blamed for igniting World War I after a succession of minor conflicts, while belligerents on both sides in World War II used operatives specifically trained for assassination. Reinhard Heydrich died after an attack by British-trained Czechoslovak soldiers on behalf of the Czechoslovak government in exile in Operation Anthropoid,  and knowledge from decoded transmissions allowed the United States to carry out a targeted attack, killing Japanese Admiral Isoroku Yamamoto while he was travelling by plane. The Polish Home Army conducted a regular campaign of assassinations against top Nazi German officials in occupied Poland. Adolf Hitler was almost killed by his own officers, and survived various attempts by other persons and organizations (such as Operation Foxley, though this plan was never put into practice). 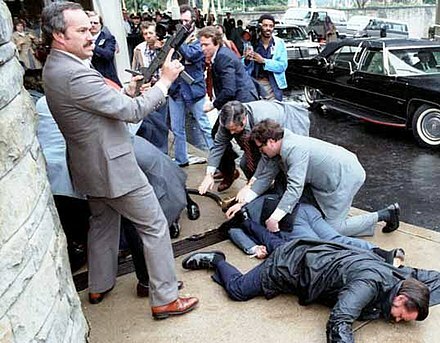 Most major powers repudiated Cold War assassination tactics, though many allege that this was merely a smokescreen for political benefit and that covert and illegal training of assassins continues today, with Russia, Israel, the U.S., Argentina, Paraguay, Chile, and other nations accused of engaging in such operations. In 1986, U.S. President Ronald Reagan (who survived an assassination attempt himself) ordered the Operation El Dorado Canyon air raid on Libya in which one of the primary targets was the home residence of Libyan ruler Muammar Gaddafi. Gaddafi escaped unharmed; however, his adopted daughter Hanna was claimed to be one of the civilian casualties. 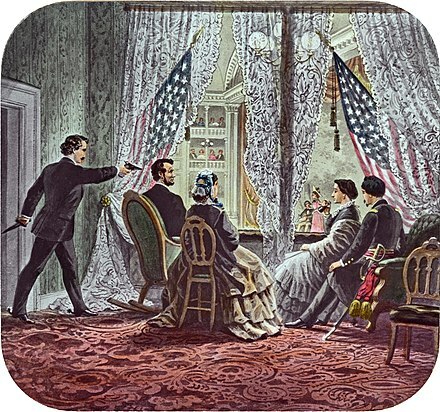 Assassination for military purposes has long been espoused – Sun Tzu, writing around 500 BC, argued in favor of using assassination in his book The Art of War . Nearly 2000 years later, in his book The Prince , Machiavelli also advises rulers to assassinate enemies whenever possible so they won't pose a threat. An army and even a nation might be based upon and around a particularly strong, canny, or charismatic leader, whose loss could paralyze the ability of both to make war. Explosives, especially the car bomb, become far more common in modern history, with grenades and remote-triggered land mines also used, especially in the Middle East and Balkans (the initial attempt on Archduke Franz Ferdinand's life was with a grenade). With heavy weapons, the rocket-propelled grenade (RPG) has become a useful tool given the popularity of armored cars (discussed below), while Israeli forces have pioneered the use of aircraft-mounted missiles,  as well as the innovative use of explosive devices. Targeted killing is the intentional killing–by a government or its agents–of a civilian or "unlawful combatant" who is not in the government's custody. The target is a person asserted to be taking part in an armed conflict or terrorism, whether by bearing arms or otherwise, who has thereby lost the immunity from being targeted that he would otherwise have under the Third Geneva Convention. Note that this is a different term and concept from that of "targeted violence" as used by specialists who study violence. One of the earliest forms of defense against assassins was employing bodyguards. Bodyguards act as a shield for the potential target, keeping lookout for potential attackers (sometimes in advance, for example on a parade route), and putting themselves in harm's way—both by simple presence, showing that physical force is available to protect the target,   and by shielding the target during any attack. To neutralize an attacker, bodyguards are typically armed as much as legal and practical concerns permit. 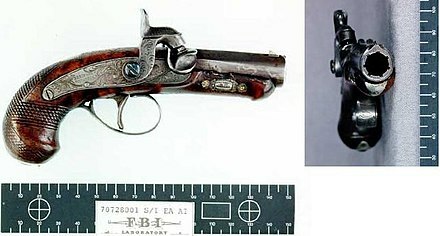 As the 20th century dawned, the prevalence and capability of assassins grew quickly, as did measures to protect against them. For the first time, armored cars or limousines were put into service for safer transport, with modern versions virtually invulnerable to small arms fire, smaller bombs and mines. Bulletproof vests also began to be used, which were of limited utility, restricting movement and leaving the head unprotected – so they tended to be worn only during high-profile public events, if at all. Access to famous persons, too, became more and more restricted;  potential visitors would be forced through numerous different checks before being granted access to the official in question, and as communication became better and information technology more prevalent, it has become all but impossible for a would-be killer to get close enough to the personage at work or in private life to effect an attempt on his or her life, especially given the common use of metal and bomb detectors. ↑ Black's Law Dictionary "the act of deliberately killing someone especially a public figure, usually for hire or for political reasons" (Legal Research, Analysis and Writing by William H. Putman p. 215 and Assassination Policy Under International Law Archived December 6, 2010, at the Wayback Machine , Harvard International Review, May 6, 2006 by Kristen Eichensehr). ↑ Martin Booth (2004). Cannabis: A History. Macmillan. ISBN 978-0-312-42494-7. ↑ "assassinate, v." OED Online. Oxford University Press, June 2016. Web. August 11, 2016. ↑ Boesche, Roger (January 2003). "Kautilya's Arthaśāstra on War and Diplomacy in Ancient India" (PDF). The Journal of Military History. 67 (1): 9–37. doi:10.1353/jmh.2003.0006. ↑ Johnson, Francis (March 3, 2008). 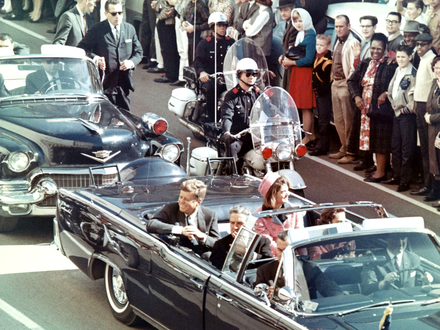 Famous assassinations of history ... Retrieved October 27, 2010. ↑ "FFZG.hr" (PDF). Retrieved December 29, 2013. ↑ M. Gillen 1972 Assassination of the Prime Minister: the shocking death of Spencer Perceval. London: Sidgwick & Jackson ISBN 0-283-97881-3. ↑ Chun, Jayson Makoto (2006). A Nation of a Hundred Million Idiots? : A Social History of Japanese Television, 1953–1973. Routledge. pp. 184–185. ISBN 978-0-415-97660-2 . Retrieved March 22, 2014. ↑ Burian, Michal; Aleš (2002). "Assassination — Operation Arthropoid, 1941–1942" (PDF). Ministry of Defence of the Czech Republic. 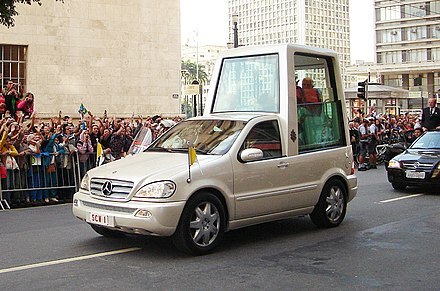 Retrieved July 5, 2011. ↑ Church Committee – Interim Report: Alleged Assassination Plots Involving Foreign Leaders Part III.B, page 71 from the 'history-matters.com' website. Retrieved August 22, 2008. ↑ "English front cover – No Safe Haven" (PDF). p. 100. Archived from the original (PDF) on September 2, 2010. Retrieved June 2, 2010. ↑ "Mykonos front cover" (PDF). Archived from the original (PDF) on September 2, 2010. Retrieved May 13, 2010. ↑ "Condemned by Law – Report 11-10-08.doc" (PDF). Archived from the original (PDF) on March 7, 2010. Retrieved May 13, 2010. ↑ McSherry, J. Patrice (2011). "Chapter 5: "Industrial repression" and Operation Condor in Latin America". In Esparza, Marcia; Henry R. Huttenbach; Daniel Feierstein. State Violence and Genocide in Latin America: The Cold War Years (Critical Terrorism Studies). Routledge. p. 107. ISBN 0415664578. ↑ Ghosh, Palash (April 27, 2013). "Who Killed General Zia Of Pakistan? Perhaps The Israelis, The US, Moscow". International Business Times . Retrieved April 16, 2015. 1 2 Schilling, Warner R.; Schilling, Jonathan L. (Fall 2016). "Decision Making in Using Assassinations in International Relations". Political Science Quarterly . 131 (3): 503–539. 1 2 3 4 5 6 Gary D. Solis (2010). The Law of Armed Conflict: International Humanitarian Law in War. Cambridge University Press. ISBN 978-0-521-87088-7 . Retrieved May 19, 2010. ↑ The law of armed conflict ... – Gary D. Solis. Google Books. February 15, 2010. ISBN 978-1-139-48711-5 . Retrieved December 27, 2011. 1 2 Abraham D. Sofaer (March 26, 2004). "Responses to Terrorism / Targeted killing is a necessary option". The San Francisco Chronicle. Archived from the original on August 29, 2011. Retrieved May 20, 2010. ↑ Matthew J. Morgan (2009). The Impact of 9–11: The New Legal Landscape. Macmillan. ISBN 978-0-230-60838-2 . Retrieved May 29, 2010. ↑ Amos Guiora (2004). "Targeted Killing as Active Self-Defense". 36 Case W. Res. J. Int'l L. 31920. Retrieved May 29, 2010. ↑ Steven R. David (September 2002). "Fatal Choices: Israel's Policy Of Targeted Killing" (PDF). The Begin-Sadat Center for Strategic Studies. Archived from the original (PDF) on November 16, 2010. Retrieved May 29, 2010. 1 2 Rory Miller (2007). Ireland and the Middle East: trade, society and peace. Irish Academic Press. ISBN 978-0-7165-2868-5 . Retrieved May 29, 2010. ↑ "Frequently Asked Questions About Targeting Killing | American Civil Liberties Union". Aclu.org. August 30, 2010. Retrieved August 13, 2012. ↑ Stein, Yael (2003). "By Any Name Illegal and Immoral: Response to "Israel's Policy of Targeted Killing"". Carnegie Council. Retrieved 31 January 2019. ↑ "Q&A: Targeted Killings", Eben Kaplan, The New York Times , January 25, 2006. Retrieved October 8, 2010. ↑ Dana Priest (November 8, 2002). "U.S. Citizen Among Those Killed In Yemen Predator Missile Strike". The Tech (MIT); The Washington Post . Retrieved May 19, 2010. ↑ Mohammed Daraghmeh (February 20, 2001). 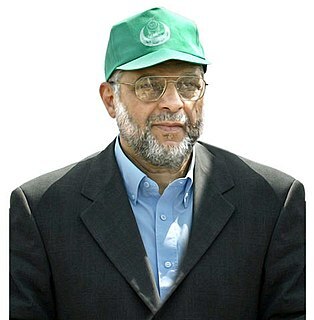 "Hamas Leader Dies in Apparent Israeli Targeted Killing". Times Daily. Retrieved May 20, 2010. ↑ Greg Miller (January 31, 2010). "U.S. citizen in CIA's cross hairs". Los Angeles Times. Archived from the original on May 7, 2010. Retrieved May 20, 2010. ↑ Greg Miller (April 7, 2010). "Muslim cleric Aulaqi is 1st U.S. citizen on list of those CIA is allowed to kill". The Washington Post. Retrieved May 20, 2010. 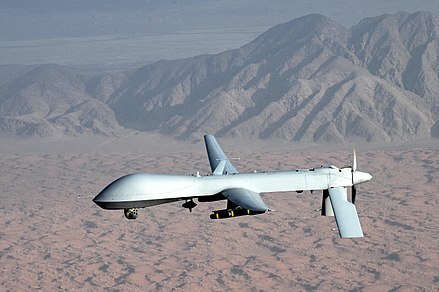 ↑ Drone strikes by US may violate international law, says UN . The Guardian. 18 October 2013. ↑ UN report calls for independent investigations of drone attacks. The Guardian. 18 October 2013. ↑ "The Assassination Complex". The Intercept . 15 October 2015. ↑ Donaldson-Evans, Catherine (December 20, 2001). "It's Bin Laden ... or Is It?". Fox News. Archived from the original on August 5, 2012. Retrieved December 8, 2006. ↑ Pelley, Scott (August 15, 2000). "Mind of the Assassin". CBS 60 Minutes II. Retrieved March 30, 2010. 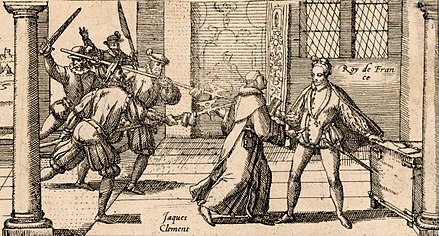 Wikimedia Commons has media related to Assassination . 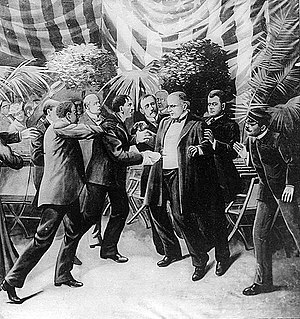 Wikisource has the text of the 1905 New International Encyclopedia article Assassination . Yigal Amir is an Israeli who assassinated Prime Minister of Israel Yitzhak Rabin. The assassination took place on November 4, 1995, at the conclusion of a rally in Tel Aviv, Israel. Amir is serving a life sentence for murder plus six years for injuring Rabin's bodyguard, Yoram Rubin, under aggravating circumstances. He was later sentenced to an additional eight years for conspiracy to murder. The Bangladesh Awami League, often simply called the Awami League or AL, is one of the two major political parties of Bangladesh. Abdel Aziz Ali Abdul Majid al-Rantisi, nicknamed the "Lion of Palestine", was the co-founder of the Palestinian movement Hamas along with Sheikh Ahmed Yassin. Nawabzada Liaquat Ali Khan, widely known as Quaid-e-Millat and Shaheed-e-Millat, was one of the leading founding fathers of Pakistan, statesman, lawyer, and political theorist who became and served as the first Prime Minister of Pakistan; in addition, he also held cabinet portfolio as the first foreign, defence, and the frontier regions minister from 1947 until his assassination in 1951. Prior to his assassination, Khan briefly tenured as the first finance minister in the interim government led by its Governor General Mountbatten. The assassination of Yitzhak Rabin took place on 4 November 1995 at 21:30, at the end of a rally in support of the Oslo Accords at the Kings of Israel Square in Tel Aviv. The assassin, an Israeli ultranationalist named Yigal Amir, radically opposed Rabin's peace initiative and particularly the signing of the Oslo Accords. Pierre Amine Gemayel was a Lebanese politician in the Kataeb Party, also known as the Phalange Party in English. The international reaction to the assassination ofBenazir Bhutto consisted of universal condemnation across the international community, including Pakistan's regional neighbors Afghanistan, China, India, Bangladesh, and Iran. Indian Prime Minister Manmohan Singh praised Bhutto's efforts for the improvement of India-Pakistan relations. The UN Security Council held an emergency meeting and unanimously condemned the assassination, a call echoed by UN Secretary General Ban Ki-moon. Both European Union President José Manuel Barroso and U.S. President George W. Bush also expressed the hope that Pakistan will continue on the path of democracy. An assassination campaign is a series of assassinations carried out to achieve a larger political goal. Mossad, short for HaMossad leModiʿin uleTafkidim Meyuḥadim, is the national intelligence agency of Israel. It is one of the main entities in the Israeli Intelligence Community, along with Aman and Shin Bet. Israel's tourism minister Rehavam Ze'evi was assassinated shortly before 7 am (GMT+2) on Wednesday, 17 October 2001 at the former Hyatt Hotel in Jerusalem by a squad of Palestinians acting on behalf of the Popular Front for the Liberation of Palestine militant organization. Ze'evi was the first Israeli minister to be assassinated since the assassination of Yitzhak Rabin and the most senior Israeli person to be killed by Palestinian militants during the entire Arab–Israeli conflict. Four Iranian nuclear scientists — Masoud Alimohammadi, Majid Shahriari, Darioush Rezaeinejad and Mostafa Ahmadi Roshan —were assassinated between 2010 and 2012. Another scientist, Fereydoon Abbasi, was wounded in an attempted murder. Two of the killings were carried out with magnetic bombs attached to the targets' cars; Darioush Rezaeinejad was shot dead, and Masoud Alimohammadi was killed in a motorcycle-bomb explosion. The Iranian government accused Israel of complicity in the killings. In 2011 and 2012, Iranian authorities arrested a number of Iranians alleged to have carried out the assassination campaign on behalf of Mossad. Western intelligence services and U.S officials reportedly confirmed the Israeli connection. In June 2012, the Iranian government was confident that it had arrested all the assassins. Rise and Kill First: The Secret History of Israel's Targeted Assassinations is a 2018 book by Ronen Bergman about the history of targeted assassinations by Israel’s intelligence services. Its author says that Israel has assassinated more people than any other western country since World War II. It portrays the assassinations of British officials, Hamas, Hezbollah and Palestine Liberation Organization (PLO) leaders, and Iranian nuclear scientists. To write the book, Bergman carried out about a thousand interviews with political figures and secret agents and consulted "thousands" of documents.